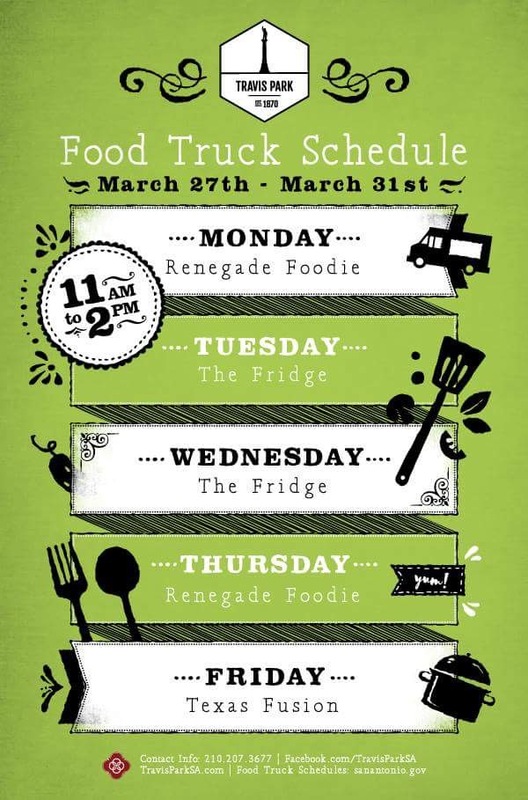 Here is the food truck schedule for this week. Any excuse to visit Travis Park is a good one. Bring an umbrella.